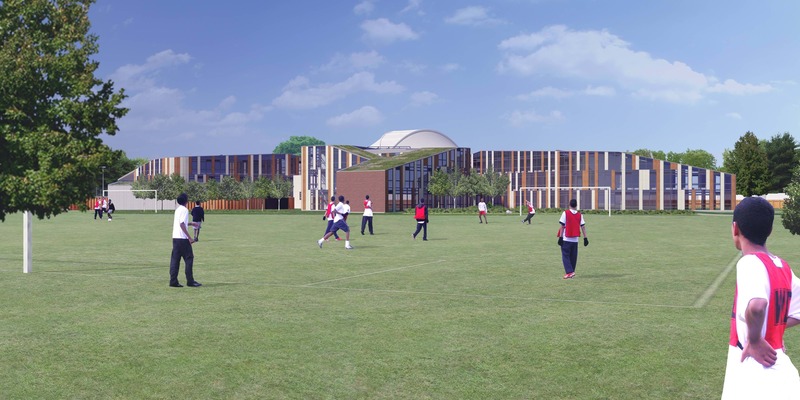 Developing the brief and design for this prestigious school dating back to 1466 involved extensive engagement with a key stakeholders. 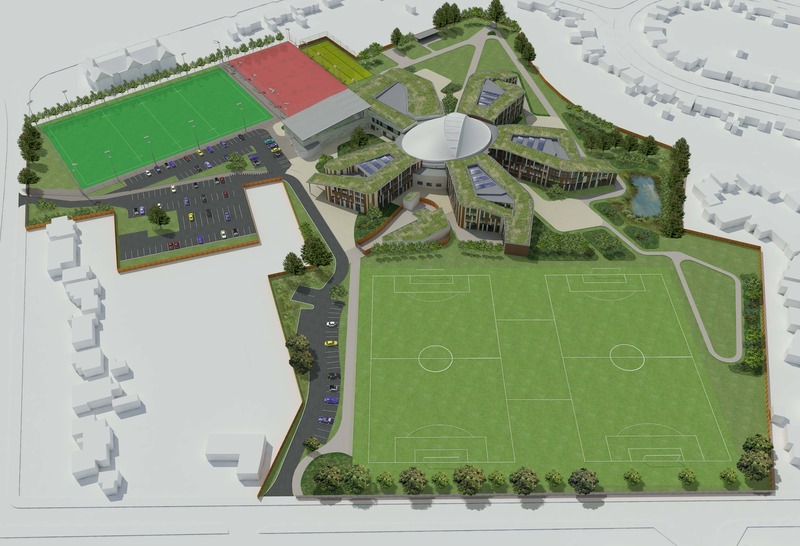 The key challenge was consolidation of the school on a single site to facilitate the sale of surplus land and buildings. 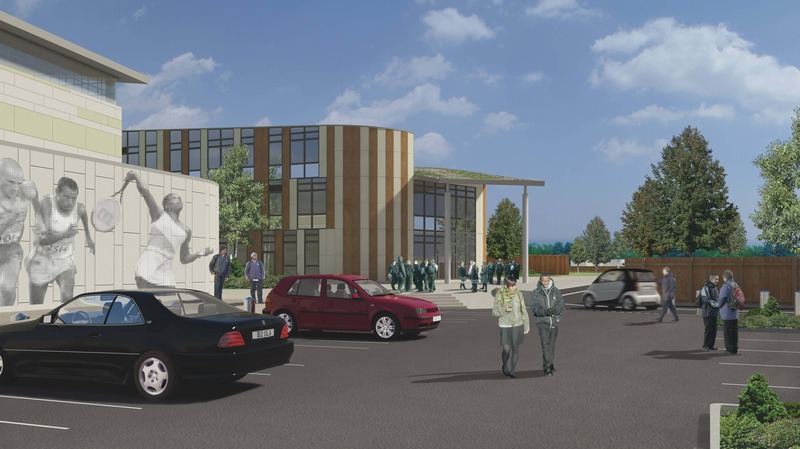 Our concept for this 1,650 place school with sixth form expresses the school’s house structure and takes inspiration from nature. 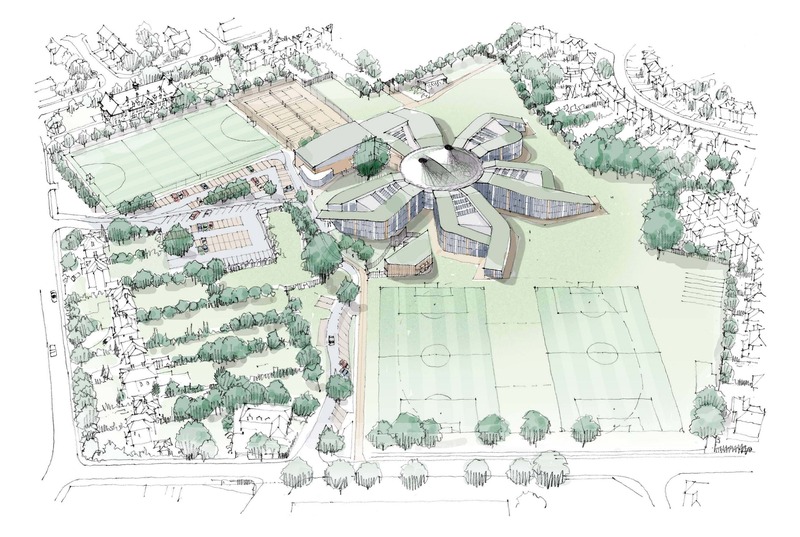 The plan form is flower-like and each ‘petal’ is occupied by one of the School’s five houses. 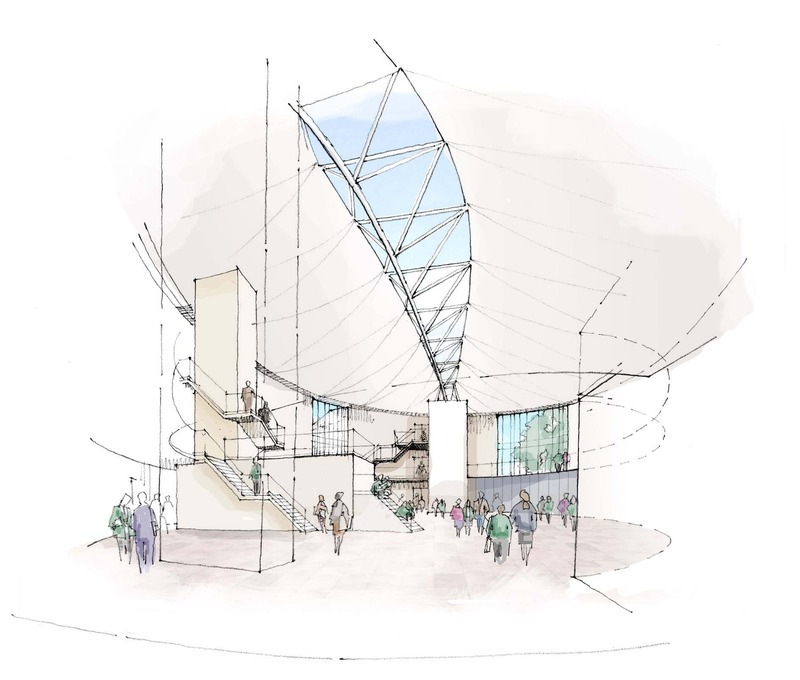 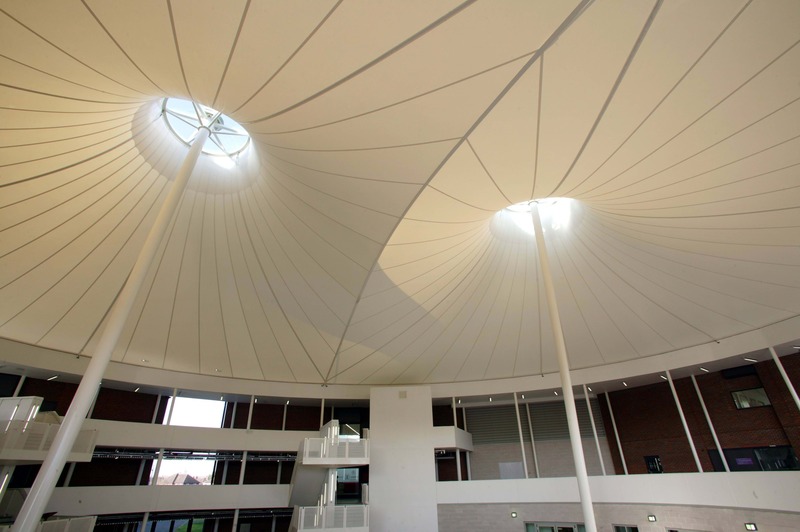 Each ‘petal’ features a full-height project based learning space surrounded by teaching accommodation. 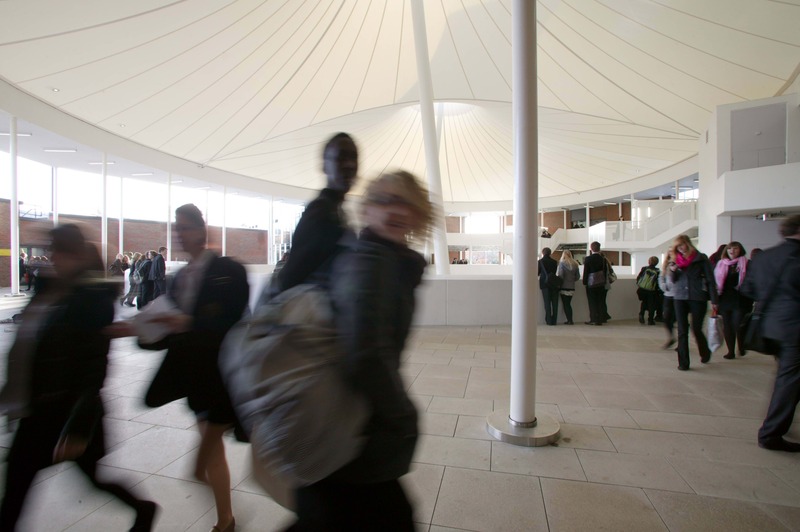 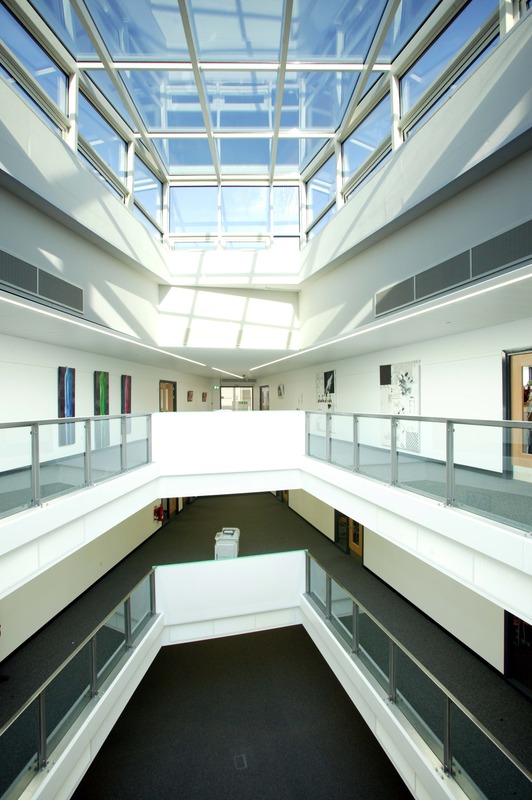 An Independent Learning Centre where staff and students work alongside each other, together with sports and expressive arts facilities have been provided that can be used by the local community. 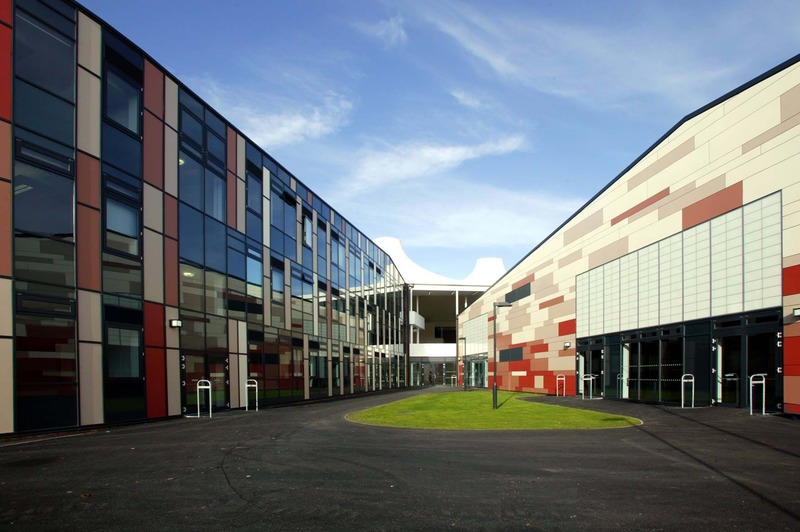 The BREEAM ‘Excellent’ school incorporates a biomass boiler, mixed mode ventilation systems and delivers energy savings of at least 40% over Part L (2006).